Section 295 of the (old) Companies Act 1956 Act sought to prevent the siphoning off of money from a company’s coffers by its management by requiring companies to obtain the central government’s approval in order to lend to their directors or persons in whom the directors were interested in (‘Entities of Interest’). Entities of Interest ranged from directors of holding companies, to partners or relatives of directors, to firms in which any director (or director of a holding company or relative) was a partner, to private companies in which any director was a director or shareholder, to any incorporated entity in which 25% or more of the voting rights was controlled by directors of the lending company and to any incorporated entity which is accustomed to act as per directions of the board of directors or any director(s) of the lending company. Section 295 also required companies to obtain the central government’s approval in order to give any guarantee or other security for third party loans to their directors or to Entities of Interest. Section 295 contained a number of vital exceptions. None of the restrictions in Section 295 applied to private companies, unless such private company was the subsidiary of a public company. In other words, a private company could lend to its directors or to Entities of Interest or provide security for loans given to its directors or to Entities of Interest without the central government’s approval. The rationale for the exception made for private companies was that shareholders of a private company do not require the sort of protection (from unscrupulous promoters) afforded by the law to shareholders of public companies. Section 295 also, very sensibly, did not apply to loans given by holding companies to their subsidiaries or to guarantees or other securities provided by any holding company in respect of a loan given to its subsidiary. After all, what could be more natural than a holding company lending to its own subsidiary or providing security for a loan given to its own subsidiary? Therefore, even if a company’s subsidiary was an Entity of Interest (on account of the subsidiary being a private limited company having a common director(s) with its holding company or because of 25% or more of the voting rights of the subsidiary being controlled by directors of the holding company or due to the subsidiary being accustomed to act as per directions of the board of directors or any director(s) of the holding company), the holding company could lend to the subsidiary or more importantly, provide security for loans given to the subsidiary by a third party. Section 185 of the Companies Act 2013, which came into effect on 12 September 2013 and repealed Section 295 of the 1956 Act, has turned the nice, cozy world upside down. To start with, Section 185 applies to private companies and not just public companies. Application of Section 185 to private companies is in line with the 2013 Act’s policy of whittling away the distinction between public and private companies. However, Section 185 doesn’t stop at that. Unlike Section 295 of the 1956 Act which only required companies to obtain the central government’s approval for loans to their directors or Entities of Interest (the list of Entities of Interest hasn’t undergone any change) or for providing security in respect of such loans, Section 185 of the 2013 Act contains an express prohibition on such loan transactions which cannot be overcome with a government approval, cumbersome and time consuming though such approval might have been. The crucial exception made by Section 295 of the 1956 Act in respect of loans given by holding companies to their subsidiaries and to guarantees or other forms of security provided by any holding company in respect of a loan given to its subsidiary has also not found a place in Section 185 of the 2013 Act. Therefore, pursuant to the new Section 185, if a director(s) of a holding company is also a director(s) of such company’s private limited subsidiary, the holding company cannot lend to such subsidiary or provide any security for a loan to such subsidiary. If one or more directors of a company control 25% or more of the voting rights of such company’s subsidiary, there can be no financial assistance from such holding company to such subsidiary in the form of loans or security for third party loans. Where a subsidiary’s board of directors, managing director or manager is accustomed to act as per directions of the board of directors or any director(s) of a holding company (which is very common), the holding company would be prevented from lending to such subsidiary or providing security of any sort for a loan by a third party to such subsidiary. One is forced to ask if such a stringent Section 185 is required in light of the provisions of Section 186 of the 2013 Act which inter alia regulates inter-corporate loans and investments. Under Section 186, where for any company the aggregate of loans given or security provided in respect of loans given or investments made in other bodies corporate, exceeds sixty per cent of the paid-up share capital free reserves and securities premium account, or one hundred per cent of its free reserves and securities premium account, whichever is more, of the lender or security provider or investor (as the case may be), such loan or provision of security or investment must be approved by a special shareholders resolution. Section 186 of the 2013 Act has not been notified yet and its corresponding provision, Section 372A of the 1956 Act, continues to be in force. Section 372A of the 1956 Act differs from Section 186 of the 2013 Act in the following respects. Under Section 372A of the 1956 Act, the threshold is to be calculated after taking into account the paid-up share capital and free reserves. Under Section 186 of the 2013 Act, the securities premium account is also taken into account for calculating the threshold. As in the case of Section 295 of the 1956 Act, Section 372A of the 1956 Act does not apply to a private company unless it is the subsidiary of a public company. However, just as in the case of Section 185 of the 2013 Act, no such distinction is made under Section 186 of the 2013 Act which applies to all companies, both public and private. Section 372A of the 1956 Act prescribes that the rate of interest must not be lower than the prevailing RBI’s bank rate. Section 186 of the 2013 Act prescribes that the rate of interest must not be lower than the prevailing yield of a Government Security, having a tenor of one, three, five or ten years, whichever is closest to the tenor of the loan. It is very common for subsidiary companies to avail of bank loans on the strength of a guaranty or other security provided by their holding company. Henceforth, on account of Section 185 of the 2013 Act, it will not be possible for a holding company to provide a guarantee or any other type of security to a bank or other lender in order to enable its subsidiary to borrow from such lender if the subsidiary is an Entity of Interest. Interestingly, the exemption in Section 295 of the 1956 Act for loans or guarantees or other security given by banks has been retained and expanded by Section 185 of the 2013 Act to all companies (not just banks) which in the ordinary course of business give loans or provide securities for the repayment of loans and which charge interest at the RBI’s bank rate. 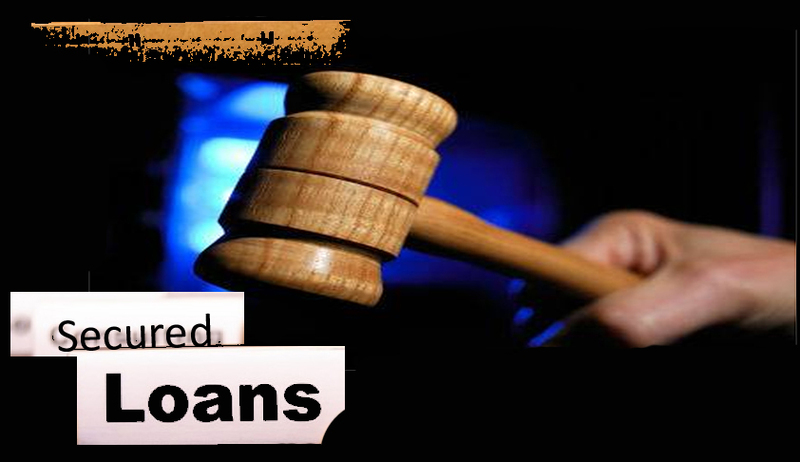 Therefore, a company which is in the business of giving loans, can lend to its subsidiary. However, this exemption will not permit loan transactions where the holding company has to provide security to the lender, even if the lender is a bank. In the opinion of the author, Section 185 should be amended to carve out an exception for any loan to or the provision of security for the benefit of an Entity of Interest which is in accordance with Section 186 of the 2013 Act. Alternatively, Section 185 may be amended such that the passing of a special resolution by a majority of the shareholders of a company would enable such company to provide loans to its directors and Entities of Interest or provide security for third party loans to its directors and Entities of Interest. After all, if a majority of a company’s shareholders approve such a transaction, why should anyone else have a problem with it? Vinod Joseph is a Partner at Dua Associates a leading Indian law firm and is based in Mumbai. The views expressed are personal and not those of Dua Associates.